Sydney at dusk during the rush hour. Shot from Mrs Macquaries Point. The peninsula sits between the Garden Island peninsula to the east and Bennelong Point (where the Sydney Opera House resides) to the west. The chair itself faces north-east towards Fort Denison and the Pacific Ocean. 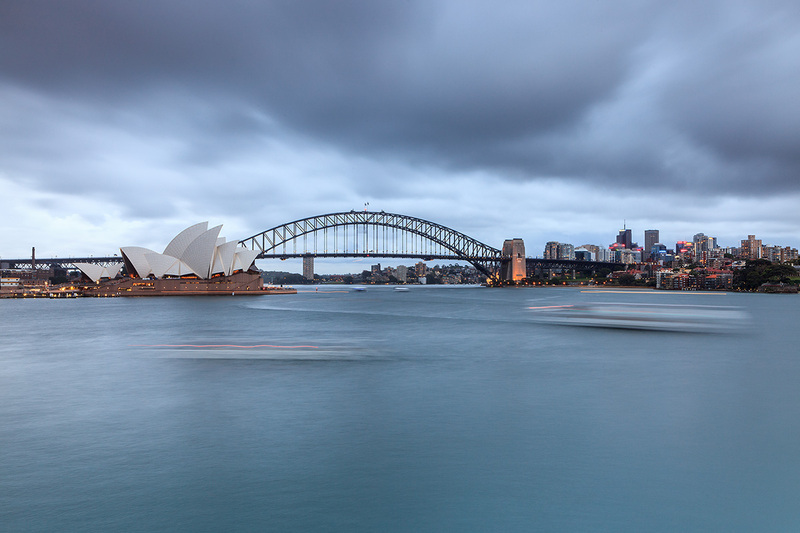 The area around it on Mrs Macquaries Point is a popular lookout position for the view to the north-west of the Sydney Opera House and Sydney Harbour Bridge.